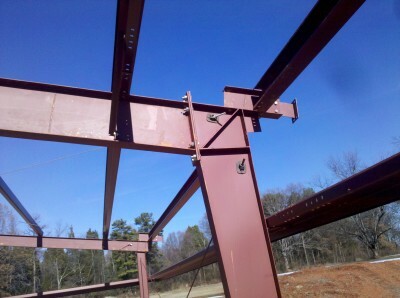 Ohsteel Blog offers a variety of informationas it relates to the construction industry. With everything from time tested experience to cutting edge techniques on new projects it rovides numerous ways for you to stay informed. Ohsteel Blog provides new content frequently so check back often. Ohsteel Blog also provides updates on tools of the industry, codes and regulations, and updates for construction professionals. 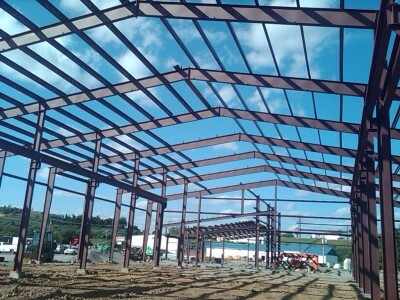 Ohsteel Blog is written and published by Ohio Steel Construction. With decades of combined experience Ohio Steel Construction brings knowledge, aspect, and content to the every changing construction industry. The steel building reactions for an Ohio Steel Construction building are a part of a table that contains information on reactions, anchor bolts, and base plates. The first two columns of data locate the Ohio Steel Construction building columns. Endwall 1 (EW-1) is at the left end of the Ohio Steel Construction building and shown on the anchor bolt plan as Frame Line 1. Endwall columns are counted from the left end of the endwall when viewed from outside the Ohio Steel Construction building.